مقالة حاضر، شرح یک پژوهش کیفی میدانی است که به بررسی یکی از مهم‌ترین تحولات حوزة مناسک دینی می‌پردازد؛ مقدس‌سازی اشخاص و مکان‌هایی که سنت دینی آنها را به‌عنوان چیز مقدس نشناخته است. 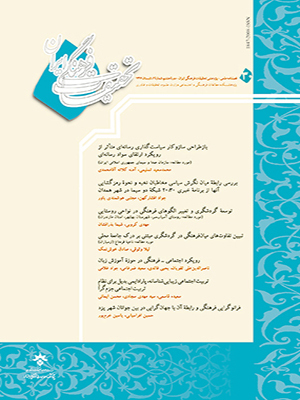 مزار سهراب سپهری، یکی از نمونه‌های این «مکان‌های جدید» است که پژوهش حاضر مطالعه‌ای موردی در خصوص مناسک و جهان معنایی زائران این مکان است. زائران جوان مزار سهراب، تلاش می‌کنند تا گونه‌های جدیدی از دینداری را خلق و تجربه کنند؛ الگوهای متنوعی که هرکدام در عین فاصله داشتن از دین و مناسک سنتی، عناصری از آن را وام می‌گیرند و آنها را به‌نحو جدیدی نمایش می‌دهد. در ایران این پدیده را می‌توان به‌عنوان نوعی تلاش برای ابداع شکلی گشوده و منعطف‌ از دین تفسیر کرد. تجربة اشکالی از معنویت و دینداری که کثرت‌گرایی، کم‌رنگ بودن وجوه سیاسی و سیال و منعطف بودن از ویژگی‌های اصلی آن است و درعین‌حال قادر به تولید تجربه‌های گرم و شورانگیز معنوی در قالب ایجاد تحول در مناسک دین عامه است. ΄Āmeli, S. R., & Mulāyi, H. (1388 [2009 A.D]). Dujahāni šodan hā va hasāsiyat hā-ye beyn-e farhangi. Tahqiqāt-e farhangi-e Irān, 2 (2), 1-30. Bauman, Z.(2000). Liquid modernity. Oxford: Polity Press. Dubisch, J. (2005). Healing the wounds that are not visible: A vietnam veterans’ motorcycle pilgrimage. In J. Dubisch & M. Winkleman (Eds. ), Pilgrimage and Healing. Tucson, AZ: The University of Arizona Press. Faraji, M., & Kāzemi, ΄A. (1388 [2009 A.D]). Barresi-e vaz΄iyat-e dindāri dar Irān. Tahqiqāt-e farhangi-e Irān, 2 (2), 79-95. Flick, U. (1388 [2009 A.D]). Darāmadi bar tahqiq-e keyfi. (Persian translation of An introduction to qualitative, research), translated by: Jalili, H. (1st ed.). Tehrān: Našr-e Ney. Glock, C. Y. (1974). Over Het onderzoek van de religiositeit. In K. Dobbelaere and L. Layendecker (Eds), Godsdienst, kerk en samenleving. Godsdienstsociologische opstellen. Rotterdam: UP of Rotterdam, 160-185. Hervieu—Léger, D. (1999). La religion en mouvement : Le pèlerin et le converti. Paris: Flammarion. Hervieu-Léger, D. )2000). Religion as a chain of memory. Cambridge: Polity Press. Ivakhiv, A. (2001). Claiming sacred ground: Pilgrims and politics at glastonbury and seduna. Indiana: Indiana University Press. Kalāntari, ΄A., & Farhādi, M. (1387 [2008 A.D]). Javānān va masraf-e gardešgari. Tahqiqāt-e farhangi-e Irān, 1 (2), 159-194. Nash, K. (1393 [2014 A.D]). Jāme΄eh šenāsi-e siyāsi-e mo΄āser. (Persian translation of Contemporary political sociology), translated by: Delafruz, M. T. (12th ed.). Tehrān: Entešārāt-e Kavir. Timothy, D. J, & Olsen, D. H. (ed.). (1385 [2006 A.D]). Gardešgari, din va safar hā-ye ma'navi. (Persian translation of Tourism, religion, and spiritual journeys, translated by: Qoli Pur, M., & Majidi far, E. Tehrān: Entešārāt-e Jāme'eh šenāsān. Turner, V.W. & Turner, E. (1978). Image and pilgrimage in christian culture, New York: Columbia University Press. Williams, J. P. (1386 [2007 A.D]). Jāme΄eh šenāsi-e adyān. (Persian translation of Sociologie des Religions), translated by: Govāhi, ΄A. (1st ed.). Tehrān: Našr-e ΄Elm.